What is Ignite Your Spirit Healing? Energy healing, whether it be Ignite Your Spirit Healing or other modalities, is very powerful and life changing for those who are open to it. It works whether you believe in it or not, but can be blocked by adamant use of will that it will not work. So be it. Ignite Your Spirit therapy is a no drug, no touch healing modality developed by Shakti Durga. Her books Ignite Your Spirit and Child of God explain the basics of this proven therapy, which has helped thousands of people to experience better health, peace and happiness. You sit in a chair with your feet on the floor, hands face up for receiving energy and your eyes closed so you can go within. The therapist will scan your energy field and assess its strengths and weaknesses. They may give you initial feedback about your energy anatomy and what it is that they wish to focus on, in consultation with you and what it is that you wish to attain from the session. Sessions take no more than 45 minutes and during that time the therapist will focus on your physical, mental, emotional and soul bodies. Sometimes you just need a good clean out. Other times you will be assisted to harmonize difficult relationships. You will receive spiritual guidance based on the state of your chakras, and even past lives or deceased family members can surface for one reason or another. Sometimes our sessions lead to two healings, as the departed loved one also receives healing on the non-physical body so as to merge more fully back into the Soul realm. Sessions might only take 45 minutes but the healing will continue to unfold over the coming few days. Some people experience spiritual ecstasy during healings and for some period afterwards. Meditation becomes easier and deeper. Sometimes people feel tired or a bit emotional immediately after the healing, and that is releasing a lot of stuck energy that has been trapped inside the etheric and astral body. Leaving it there can lead to health or wellness issues and attract problems to you. Removing it opens the way to a better future. That passes and you will feel lighter, cleaner and more filled with hope. Pain is often lessened and in some cases permanently removed, even where one has serious pathological reasons for assuming there would be a continuing pain issue. Divine energy is stronger than any bodily malfunction and miracles happen in our healing rooms on a regular basis. No. A medical practitioner who is going to operate on you cannot guarantee that the surgery will be successful but they can tell you that it is likely to be successful. Similarly we can tell you that IYS is likely to help you overcome your problems. Your own personal grace bank account is relevant to what you will experience. If you have good karma you can expect miracles, and if you don’t then not much will happen. However, we can help you learn to develop grace and we have had instances where we have been unable to help people but after a year of following our advice about lifestyle issues or specific matters, things have dramatically changed and the healing session has been profound solving the problems that were previously being experienced. For people of open mind and healthy discernment, you can improve your health and vitality, decrease pain and chronic ailments, attain much greater mental peace and optimism about life by receiving IYS therapy. You can actively build opportunities working with a highly trained therapist, whereby obstacles can be dissolved and replaced with ease, grace and flow. Problems at work and in relationships become a thing of the past as you unlock your potential and your own soul power reveals itself. People come to IYS sessions for a variety of reasons. As well as wanting help with health issues, others are searching for more meaning and direction in life. When we remove the debris from our mind and spirit, our future has a habit of unfolding more gracefully. We have countless testimonials of those who have found what they were looking for through IYS therapy combined with the path of ease and Grace seminar series. Maitreya is a compassionate and gifted energetic healer who engenders joy and facilitates uplift and empowerment for his clients. 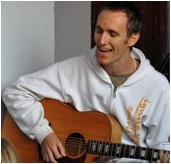 With over 10 years experience using Music Therapy tools, Maitreya brings the healing power of sound using guitar, voice and Tibetan bowls - and combines this with his training as an Ignite Your Spirit Therapist and Crystal Dreaming Practitioner to create a powerful and integrated healing experience. Jagatambe is an empowered Senior Disciple of Maha Guru Shakti Durga, and future leader of Shanti Mission. As a Master IYS therapist and Doctor of Clinical Psychology, she offers profound insight and capacity for transformation from a place of deep wisdom, purity and compassion. 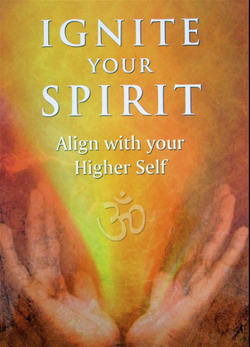 Dealing with the full spectrum of human experience, she helps us to let go of all that gets in the way of realizing the truth of our highest potential; physically, mentally, emotionally and spiritually. Bhadrakali is a senior disciple of Shakti Durga and Ignite Your Spirit Therapy Master Healer. She is also a Registered Nurse, a Child and Family Health nurse, a Journey Practitioner and reflexologist. A medical intuitive and clairvoyant, she can clear past life issues which may be affecting you or your family's health and well being. She specializes in working with babies and can communicate the needs of the baby and assist them to incarnate into their new bodies with greater ease. She is caring and compassionate and would love to assist you on your healing journey. Paramahamsa Savitur is a Master healer, spiritual counselor and energetic healer, with qualifications in Creativity Counseling, Meditation, Breathwork & Ignite Your Spirit therapy. Savitur is a very gentle, compassionate but powerful healer who facilitates profound development with his clients through a combination of IYS and counseling.